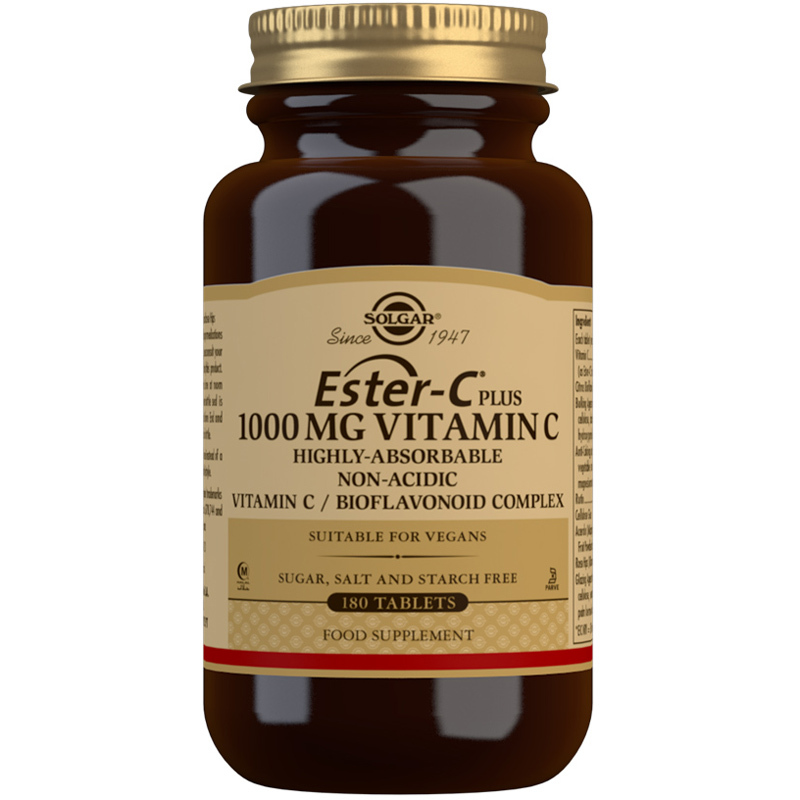 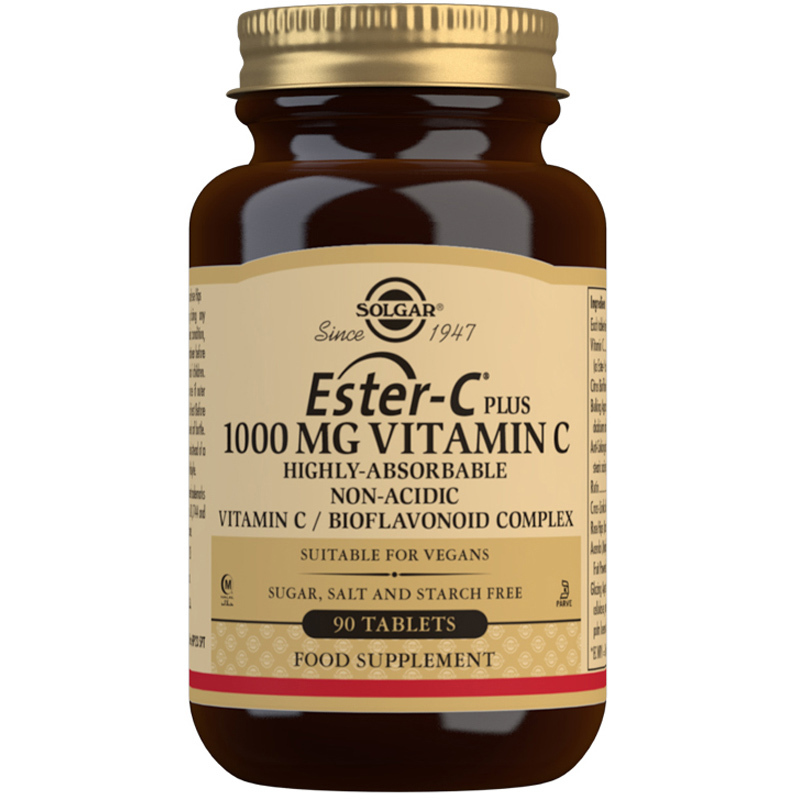 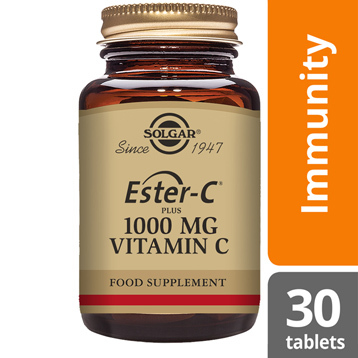 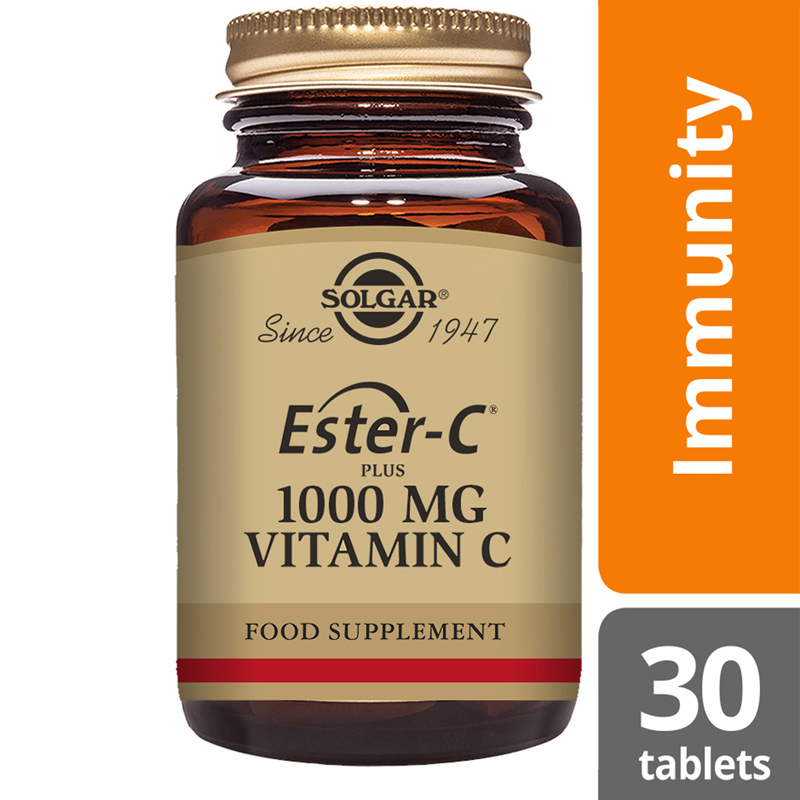 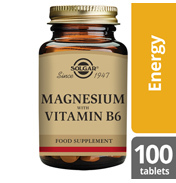 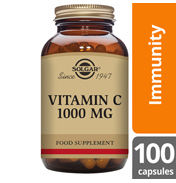 Solgar® Ester-C® Plus 1000 mg Vitamin C Tablets is a high strength formula, delivering this premium Vitamin C, in a convenient two-a day capsule. 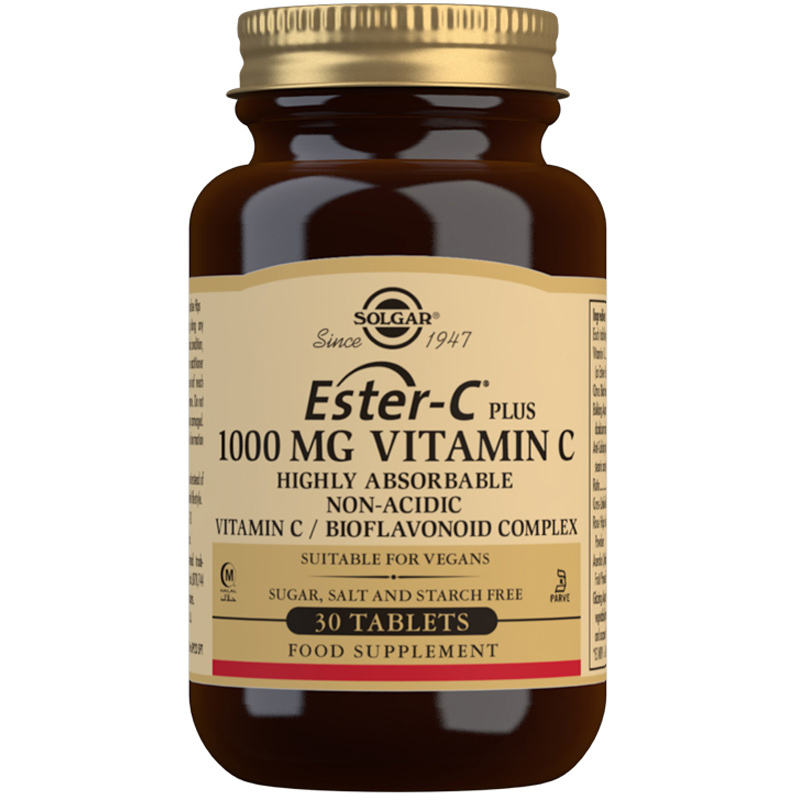 It offers a gentler, more easily digested form of vitamin C which is pH neutral and non-acidic.Solgar's Ester-C® is an exclusive formulation with additional natural plant bioflavonoids, powerful antioxidants that naturally accompany Vitamin C in fruits and vegetables. 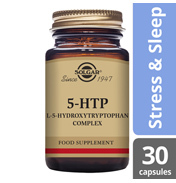 Rose Hips (Rosa canina) Powder, Acerola (Malpighia glabra) Fruit Powdered Extract (4:1), Glazing Agents: (hydroxypropylmethyl cellulose, vegetable glycerin (from palm kernel oil and coconut oil)). 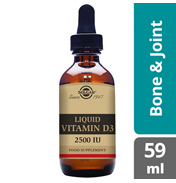 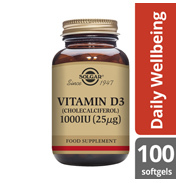 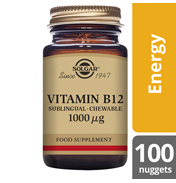 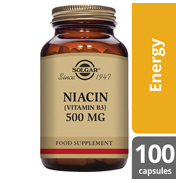 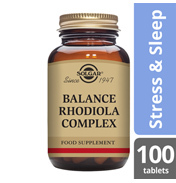 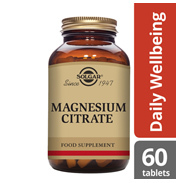 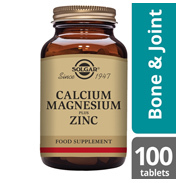 As a food supplement for adults, one (1) or two (2) tablet(s) daily, preferably at mealtime, or as directed by a healthcare practitioner.